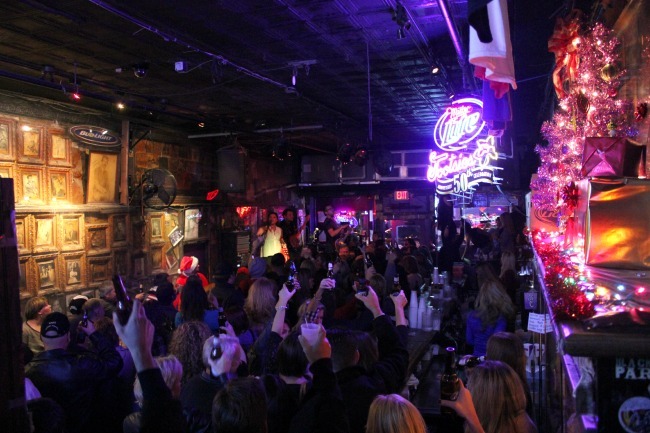 a cheap or disreputable bar, club, or dance hall, typically where country music is played. a style of country and western music of the 1950s associated with honky-tonks. 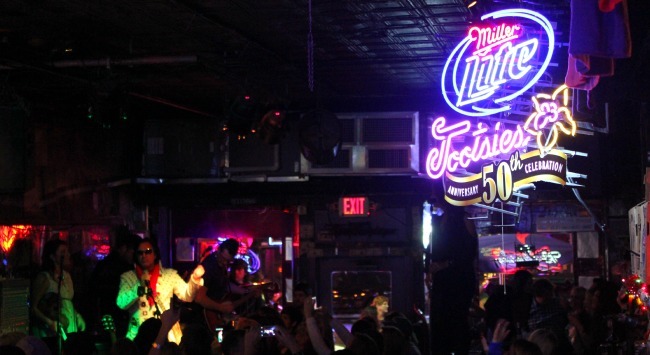 Arriving in Nashville, TN, I knew I had to make time for Lower Broadway – to wander the street’s strip of honky tonk bars and see what was going on. Not a country music fan, don’t like crowds, not into bars? Try to get over it – wandering this street, seeing what’s going on and how the fans are enjoying the music is worth every second of discomfort. Whether its the endless parade of tight jeans and cowboy boots or hair styles that defy gravity – go get a dose of flashy country fun, Lower Broadway style in Nashville.